By the 1950s decades of damming, development and diversion had taken their toll on our country's rivers. During the 1960s the country began to recognize the damage we were inflicting on wildlife, the landscape, our drinking water and our legacy. Recognition of this fact finally led to action by Congress to preserve the beauty and free-flowing nature of some of our most precious waterways. Proposed by such environmental legends as John and Frank Craighead and Olaus Murie, and championed through Congress by the likes of Senators Frank Church and Walter Mondale, the National Wild and Scenic Rivers System was created by Congress in 1968 (Public Law 90-542; 16 U.S.C. 1271 et seq.) to preserve certain rivers with outstanding natural, cultural and recreational values in a free-flowing condition for the enjoyment of present and future generations. 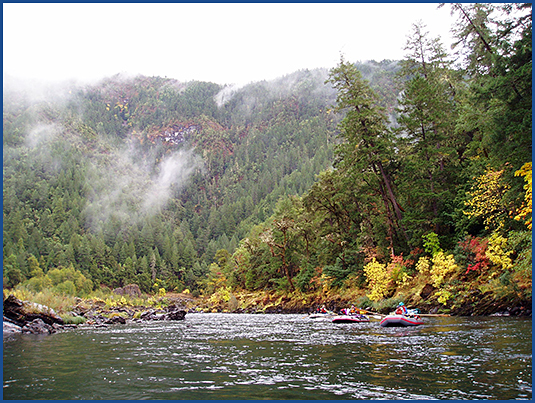 Rivers in the National Wild and Scenic Rivers System capture the essence of all waterways that surge, ramble, gush, wander and weave through our country. From the remote rivers of Alaska, Idaho and Oregon to rivers threading through the rural countryside of New Hampshire, Ohio and Massachusetts, each preserves a part of the American story and heritage. As of August 2018 (the last designation), the National System protects 13,439 miles of 226 rivers in 41 states and the Commonwealth of Puerto Rico; this is a little more than one-quarter of one percent of the nation's rivers. By comparison, more than 75,000 large dams across the country have modified at least 600,000 miles, or about 17% (possibly more than 20% – figures are best estimates), of American rivers.